Much of this text, published under a Creative Commons license, was originally developed by Dr. David McMurrey, who is both a technical writer and a college instructor. For more about him and his original work, please visit his biography page at: https://www.prismnet.com/~hcexres/index.html. He kindly gave his text a CC-BY license at our request so that we could adapt our text from it. We extend our sincere appreciation to Dr. McMurrey, the team of consultants at Saylor University whose work shared via open educational resources is also featured in this text, and the host of educators, librarians, and professionals who have shared their creations with a Creative Commons license. Our thanks as well to our colleague, Dr. Eleanor Sumpter-Latham, whose work we consulted and adapted into this text. Additional materials have been adapted or created by Annemarie Hamlin, Chris Rubio, and Michele DeSilva of Central Oregon Community College, and Megan Savage, Jodi Naas, Allison Gross, and Billy Merck of Portland Community College. 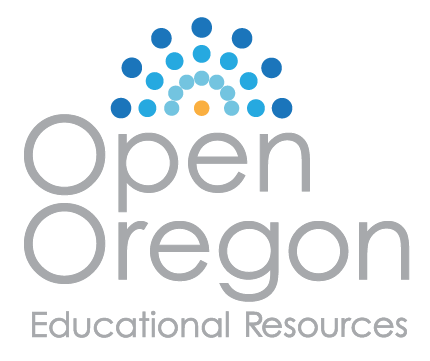 We also extend our gratitude to Open Oregon Educational Resources for the grant funding to pursue this project and especially to Amy Hofer of Open Oregon for her knowledgeable and helpful answers to many questions.